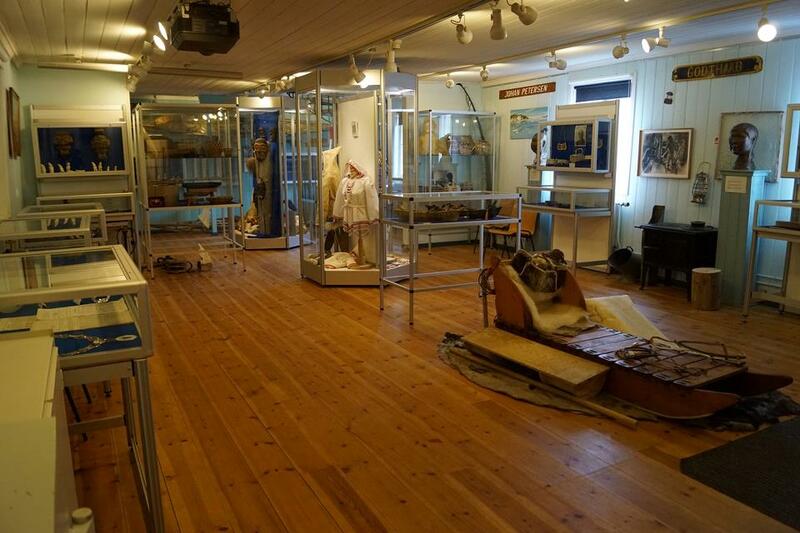 The collection in Ammassalik Museum consists of a large number of objects concerning the East Greenlandic cultural heritage. In the exhibition room of the old church, a varied selection of the museum’s objects is on display. 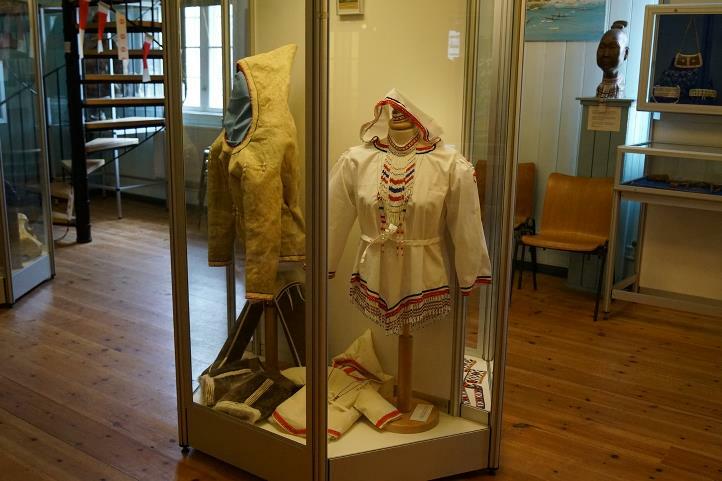 The ethnographical exhibition is open all year. In the summer season, the umiaq and kayak are displayed outside the museum as well. 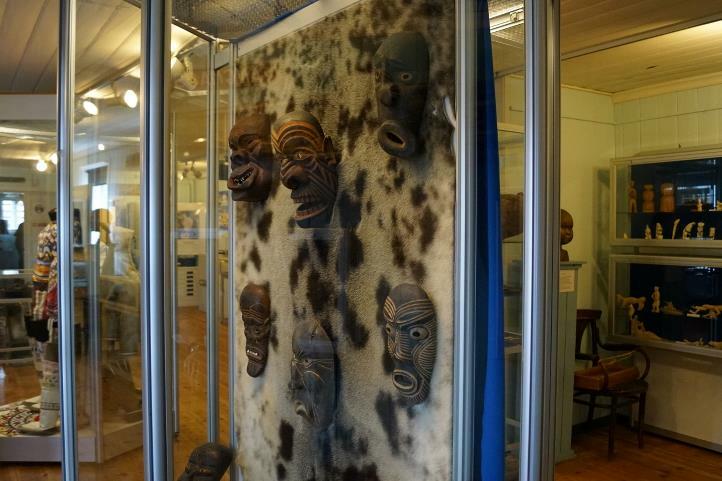 A number of masks are on display in the museum, showing glimpses of the traditional East Greenlandic mask culture. The masks come in three variations. Dance masks for religious and ceremonial uses, theater masks for entertainment and storytelling, and the smaller house masks representing a domestic spirit, protecting the house and its residents. The Museum owns a large collection of tupilaqs. 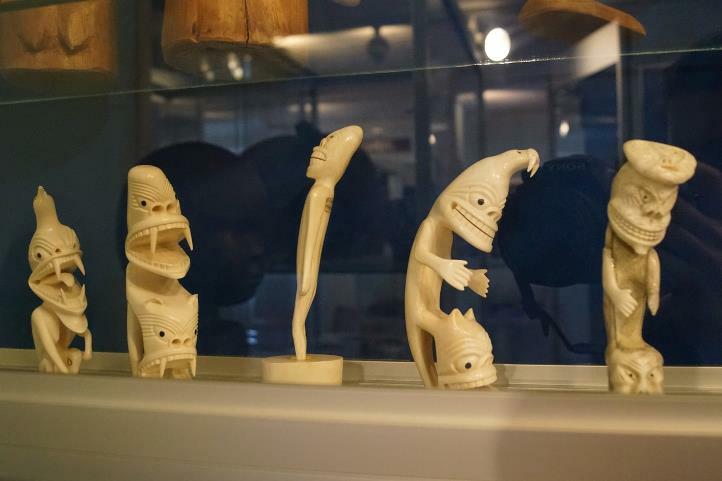 In the ethnographical collection, the oldest tupilaq still existing today is on display. It was made by Mitsiavarniaannga the shaman in 1893. The ethnographical collection displays a number of dresses, among them the traditional amaat made of seal skin with the fur turned inwards. The dress has room for a baby on the mother’s back. A belt around the waist keeps the child from sliding down, and the hood is big enough to cover the baby entirely, providing a warm and secure position, while the mother has both hands free for practical work. The dog sledge is a copy of the traditional East Greenlandic dog sledge. 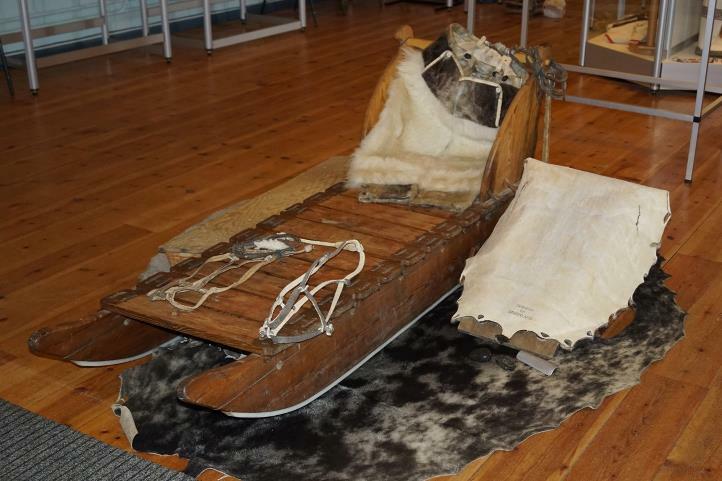 It was made without the use of metal, but assembled with wooden nails and straps of seal skin, a construction that makes the sledge more flexible. The sledge is pulled by a team of up to 20 dogs. In the summertime, the museum’s Umiaq – a reconstruction of the traditional open skin boat – is on display outside the museum. The Umiaq is used for sailing each year on Greenland’s National Day, June 21.